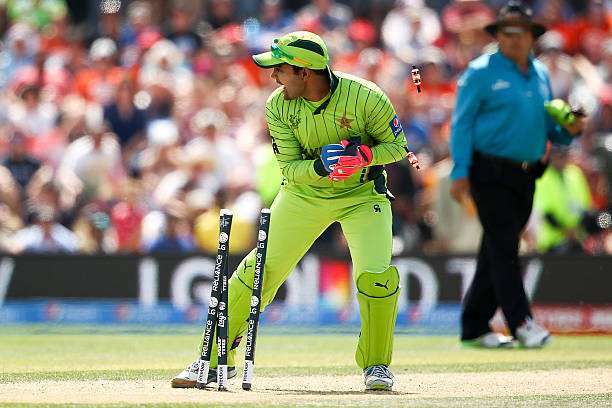 Will we see Umar Akmal in Pakistan outfit again? The most prominent Pakistani cricketer to have missed out on a central contract this year is right-handed batsman Umar Akmal. 35 cricketers have been classified into four categories: A, B, C and D.
Akmal was initially drafted into Pakistan’s squad for the ICC Champions Trophy that was hosted by England last month, but recurrent failures in the pre-tournament fitness tests forced him out of the team. He missed the West Indies tour earlier this year for the same reason. The PCB not filing a central contract for him is a clear message to the 27-year-old. He has not only had fitness problems, but disciplinary issues as well. He played his last ODI in January this year, but his last Test and T20 appearance in international cricket go a long way back – to 2011 and 2016 respectively. The Pakistan team, led by the then newly-appointed skipper Sarfraz Ahmed, had an inspired campaign in the Champions Trophy. After being bludgeoned by India in their opening game of the tournament, the team did not look back and won four successive matches. The fourth game in this series was the final of the tournament, where the team squared off against Virat Kohli’s men again. This time though, the tables turned viciously and it was Pakistan who had a colossal 180-run victory against the tournament favourites. The PCB is predictably pleased with its team after this performance, and has been making extensive future plans for its international cricket. Ahmed was appointed as the Test captain soon thereafter. Pertaining to this brilliant display in the tournament, many cricketers like Ahmed, Imad Wasim and Hasan Ali were promoted in their contract category. Akmal, however, obviously missed out. Akmal’s way back into the national side will not be a cake walk now. In spite of the man’s thumping talent, it will be extremely difficult for him to regain his place in Pakistan’s limited-overs team. Newcomers like Fakhar Zaman and Shahbad Khan have shown promise at the highest of stages, and Akmal will have to work out of his skin to replace them in the side anytime soon. Akmal’s talent has never warranted doubt or ridicule, but his inability to make the most of it has been the story of his career so far. It is sad to see such a gifted individual struggling to make it even to the central contract of his team, and you would hope that Akmal’s story does not go down as another could-have-been of international cricket.